Mike Ullery | Daily Call Brady Wenning, 10, of Anna launches his water bottle rocket as Camp Excel director Tony Trapp shoots video of the launch at Camp Excel 2018 at the Upper Valley Career Center on Wednesday. 104 students from around the area attended this year’s camp. Mike Ullery | Daily Call Drew Gessner, 12, of Covington builds a truss bridge during Camp Excel at the Upper Valley Career Center on Wednesday. 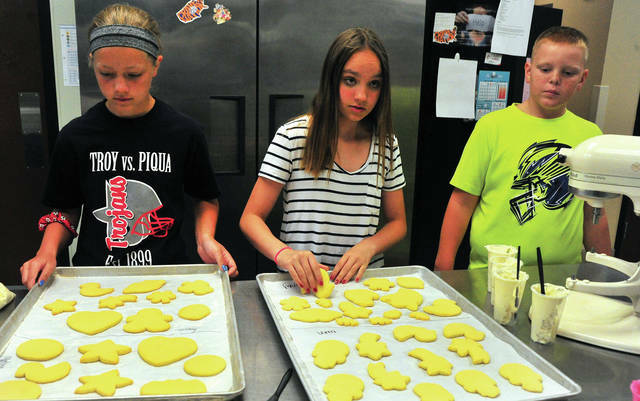 Mike Ullery | Daily Call Abbey Segar, 12, of Troy, Lainey Mengos, 13, of Graham, and Owen Haak, 11, of Miami East bake cookies on Wednesday during Camp Excel 2018 at the Upper Valley Career Center. 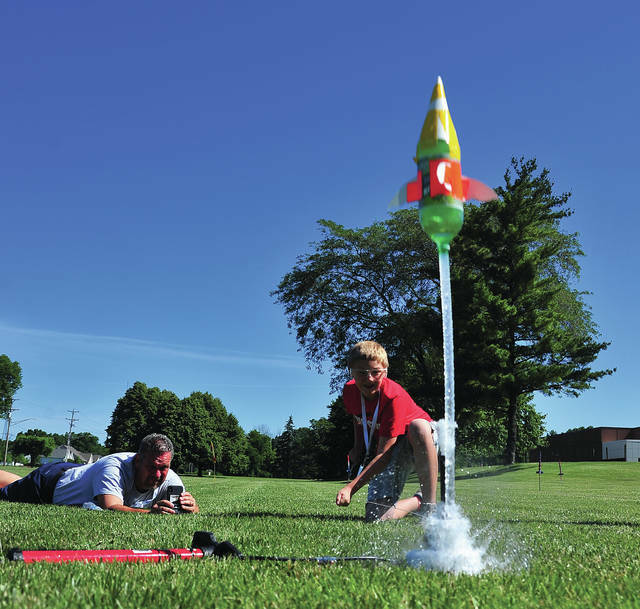 Brady Wenning, 10, of Anna launches his water bottle rocket as Camp Excel director Tony Trapp shoots video of the launch at Camp Excel 2018 at the Upper Valley Career Center on Wednesday. 104 students from around the area attended this year’s camp. 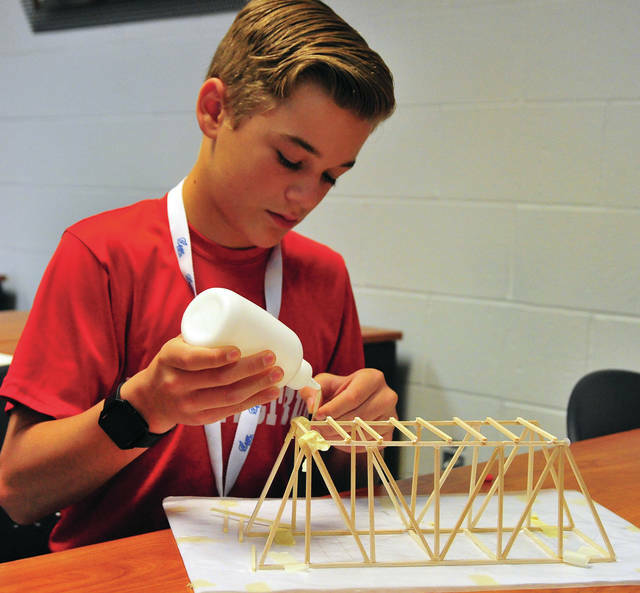 Drew Gessner, 12, of Covington builds a truss bridge during Camp Excel at the Upper Valley Career Center on Wednesday. Abbey Segar, 12, of Troy, Lainey Mengos, 13, of Graham, and Owen Haak, 11, of Miami East bake cookies on Wednesday during Camp Excel 2018 at the Upper Valley Career Center. https://www.urbanacitizen.com/wp-content/uploads/sites/36/2018/06/web1_060618mju_UVCC_CampExcel1-1.jpgMike Ullery | Daily Call Brady Wenning, 10, of Anna launches his water bottle rocket as Camp Excel director Tony Trapp shoots video of the launch at Camp Excel 2018 at the Upper Valley Career Center on Wednesday. 104 students from around the area attended this year’s camp. https://www.urbanacitizen.com/wp-content/uploads/sites/36/2018/06/web1_060618mju_UVCC_CampExcel2-1.jpgMike Ullery | Daily Call Drew Gessner, 12, of Covington builds a truss bridge during Camp Excel at the Upper Valley Career Center on Wednesday. https://www.urbanacitizen.com/wp-content/uploads/sites/36/2018/06/web1_060618mju_UVCC_CampExcel3-1.jpgMike Ullery | Daily Call Abbey Segar, 12, of Troy, Lainey Mengos, 13, of Graham, and Owen Haak, 11, of Miami East bake cookies on Wednesday during Camp Excel 2018 at the Upper Valley Career Center.